This statue features a tender moment between the Madonna and her Child. The baby Jesus rests safely in the arms of his mother, while she looks on lovingly. 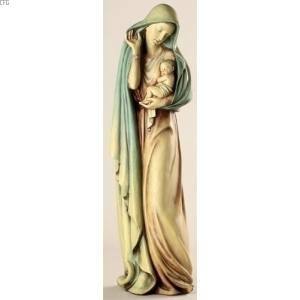 This statue is a beautiful gift for a mother! The statue stands 18" tall, is made of a resin-stone mix, and comes boxed.